See what I received on Saturday. Zue sent me some Hari Raya cookies with some sweet peppers. Thank You Zue. Carlos and I love the cookies. 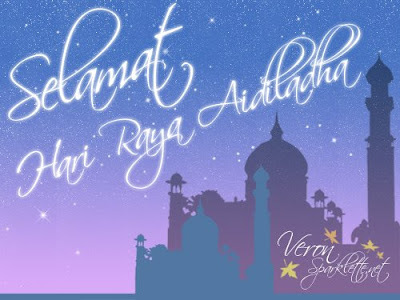 I’d like to take this opportunity to wish all my Muslim friends and blog readers Selamat Hari Raya Aidil Fitri and have a safe journey home to be with your family. I too, got a package from Zue. She's so sweet. The kuih raya are delicious.